Since I was a very small boy being brought up in a Coal exporting Port, I’ve been fascinated by all things industrial. In the early 1960’s, Barry in South Wales had already long passed it’s heyday but it was still like a giant adventure playground with the chance to clamber over the decommissioned steam locomotives in the famous Woodhams Scrapyard, watching iron-ore being unloaded or being in the control room of the swing bridge as my father seemed to know everyone who worked there! However, the most lasting impression came from visiting the Cokeworks my father worked at. At such a young age, the sights and sounds and smells of this monolith of industry seared themselves on my consciousness. Exhilarated and terrified in equal measures, the combination of huge machinery and enormous towering structures along with cascades of burning coke and black smoke left it’s mark. As the years passed, the fascination remained. I’ve always loved the industrial structures that might be ugly necessities in many people’s eyes but are things of beauty to me whether it’s through the brooding menace of a colossal Steelworks or the exquisite brickwork of a Victorian Pumping Station. The machinery that lie within these cathedrals of industry are very often humbling in their scale, but fascinating, exciting and spectacular examples of engineering prowess. I had ambitions of becoming a Graphic Artist when I left school but other things got in the way and I ended up in the Printing industry, where I stayed for over twenty five years before becoming self-employed. I got my first proper camera, a Pentax MV, for my 18th birthday and set about photographing everything artistically as possible to satisfy my need for self expression, but even back then I took photos of a nearby Colliery during demolition and a local Cokeworks that was still in operation. Even as I drifted away from photography in any serious way in the proceeding years, I still found myself visiting various industrial sites with whatever camera I had at the time, the magic of industry still had a grip on me. In recent years, I’ve returned to photography in a more serious, determined way, trying to make up for the lost intermediate years. My interest went almost immediately to photographing all things industrial and that quickly became the only thing I really wanted do. In the meantime I studied for a photography Diploma to learn more about the technical side of the subject and to try and understand how to achieve my aims every time I set out with the camera. I’ll always carry on learning and never feel like i’ll know enough, but that’s what I love, the challenge. This is where I come full circle. 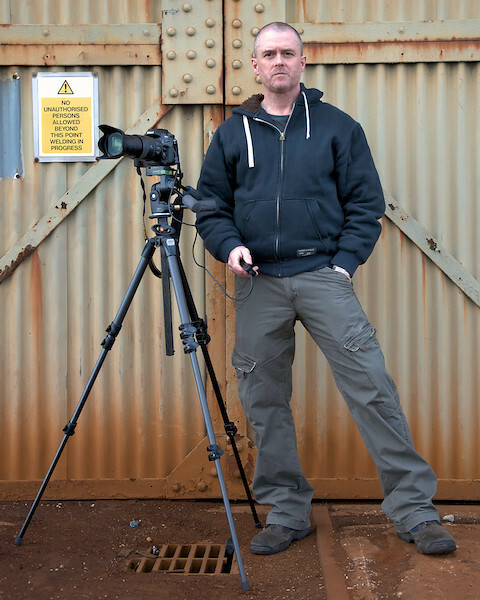 My passion for all things industrial, fostered from an early age, allied to my desire to express myself through a dynamic, exciting and challenging medium, have brought me here.